Although most people associate 12 step rehab with alcohol addiction treatment, this methodology treats many types of substance abuse disorders. Overall, a majority of treatment centers in the United States use the 12-step approach. However, it involves letting go of control, being honest with yourself, and taking responsibility for your actions. The 12 step program was first introduced by Alcoholics Anonymous. Studies have found that it’s an effective way to not only treat alcohol abuse but to also prevent relapse. Researchers also come up with promising results for adopting 12 step rehab for other substance use disorders, including Klonopin addiction and opiate abuse. A 12 step rehab program encourages people to be active in their recovery journey. This therapy places emphasis on acceptance, surrender, and involvement. When someone struggling with drug abuse accepts that addiction has control over them, they can move forward. Acceptance includes the ideas that the behavior has made life unmanageable, and willpower is not enough to solve the problem. Additionally, this approach stresses the importance of surrendering to a higher power. Surrender involves trusting in the program and other members also going through the same journey. Staying active in the 12-step community by attending meetings and other similar activities are vital to 12 step rehab. Many people find that they must revisit certain steps in order to maintain a successful recovery. Long-term support also helps you stay sober. Do You Have To Be Religious To Go Through 12 Step Rehab? Although some programs refer to a higher power or God, this doesn’t always have to be the case. Surrendering involves letting go of the ego. Some people prefer to replace the word “higher power” with something that represents a similar idea. For example, some individuals think about surrendering to their meditation practice or commit themselves to being spiritually present in a moment. Others choose to think of this concept as relinquishing the notion of willpower. Regardless, much of this treatment methodology relies on the support of others. You can do this whether or not you’re religious. Many people enter rehab thinking their situation is completely unique and that others don’t understand them. Through group therapy, they begin learning that others have gone through similar issues and may be able to offer sound advice. 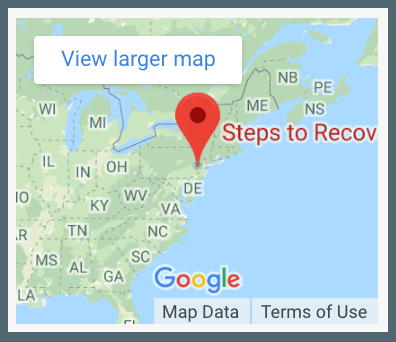 Will The 12 Step Rehab Work For You? Many recovery programs include 12 step elements. However, you don’t need to follow the 12 steps exactly to successfully recover. Many people benefit from adapting the 12 steps to create a custom treatment plan. Our mission is to meet you wherever you are and support you throughout the courageous recovery process. Call us at 866-488-8684 to learn how we can work with you to form an individualized treatment plan.